A review of Centurion Health Insurance finds the Centurion Insurance Agency in California. This agency is an insurance broker, serving the needs of people looking for home, auto, life, health, business, and other types of insurance. Enter your zip code in the box above to find health insurance rates for coverage in your area. Because it is a broker, Centurion does not administer the health insurance policies. Instead, it acts as a middleman between you and the insurance companies, helping to find you the best insurance coverage for your needs and your budget. The company is small enough that its individual brokers, along with their email addresses, are listed on the website. Centurion was founded in 1947, and became a full service insurance agency through a series of purchases and mergers over the years. It currently has approximately 1,000 business customers and 6,000 individual customers. Centurion only operates in California. Centurion is a full-service insurance broker, offering policies for home, auto, life, health, and business insurance, as well as financial services such as 401(k)s and 529 plans. Centurion offers insurance for owners of homes, townhomes, condominiums, and mobile homes, as well as renters’ insurance. Their standard policy offers coverage for the actual physical structure, plus your belongings within that structure. There is also liability protection in case somebody gets hurt on your property, and they cover living expenses if your home is damaged or destroyed while insured by the policy. Centurion Insurance Agency also offers specialty policies and endorsements on their primary home insurance policy. These offer coverage for such things as home businesses, floods, and valuables such as jewelry and electronics. As far as life insurance, Centurion sells both term and permanent. Term offers protection for a specific time period, while permanent, which is also known as whole life, offers protection for your entire life. Centurion also sells disability insurance. The company also offers umbrella insurance for both individuals and companies. Umbrella insurance, purchased along with a standard policy, extends the limits of liability on that policy. Umbrella insurance gives you an extra layer of protection in cases where you may be sued by somebody who gets hurt on your property. It protects your assets in the case of a lawsuit, making sure such a suit does not bankrupt you. Centurion appears to offer health insurance policies from Zurich North America, Kaiser Permanente, and Anthem Blue Cross. Depending upon where you live and which health insurance provider Centurion uses for your policy, you will have a choice from many different plans and many different rates. Some plans may also offer Medicare coverage. Because Centurion Health Insurance Agency has its offices solely in California, most of the plans they offer are for California residents. 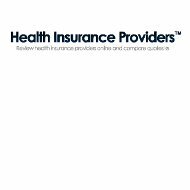 If you live in another state and are looking for health insurance, your best bet is to enter your zip code below and then search from several different health insurance rates from multiple health insurance providers.